Fig. 1. Finds from Megaron B at Eleusis. Fig. 2. 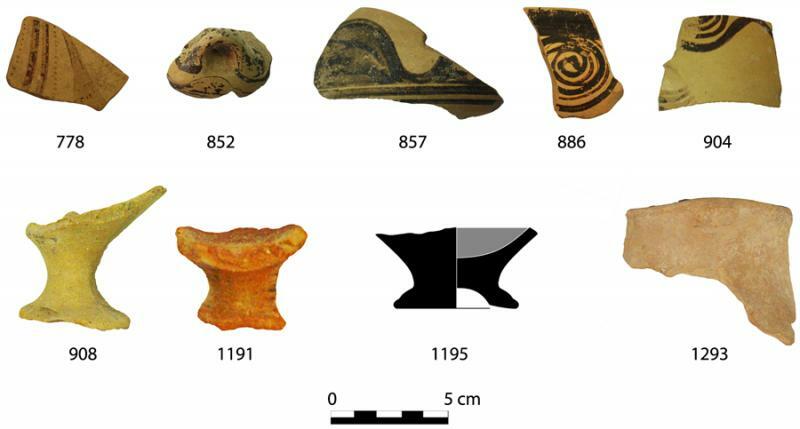 Finds from the platform of Megaron B. Fig. 3. 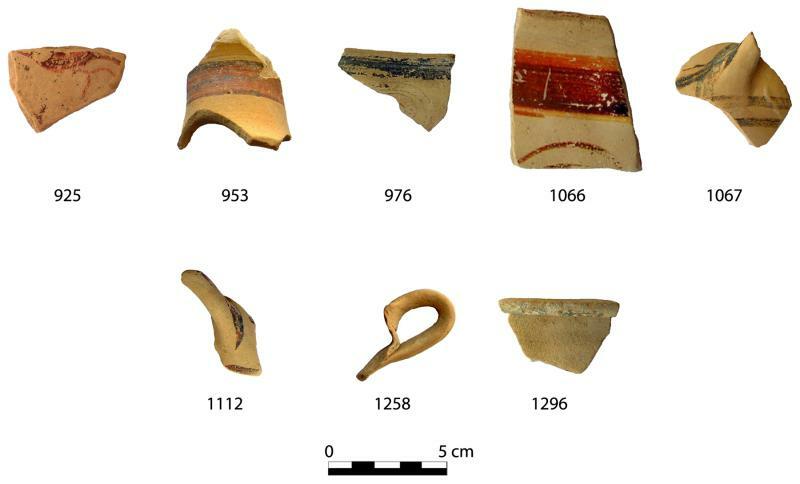 Finds from the interior of Room B1 of the Extension B1/B2/B3 in the Megaron B complex. 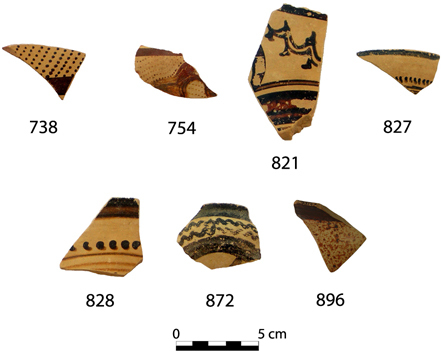 The sherd numbers correspond to catalogue numbers in Cosmopoulos (forthcoming). Fig. 4. 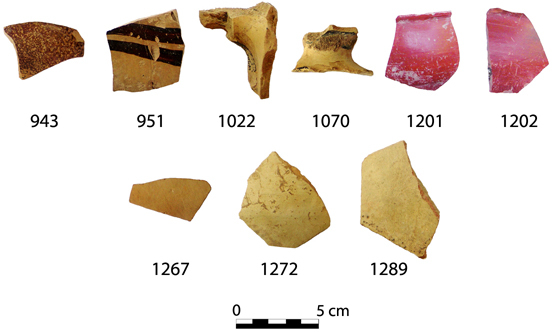 Finds from Wall T1 and Wall T4 of the peribolos in the Megaron B complex. Fig. 5. Finds from the drain in the Peisistrateian Telesterion at Eleusis. 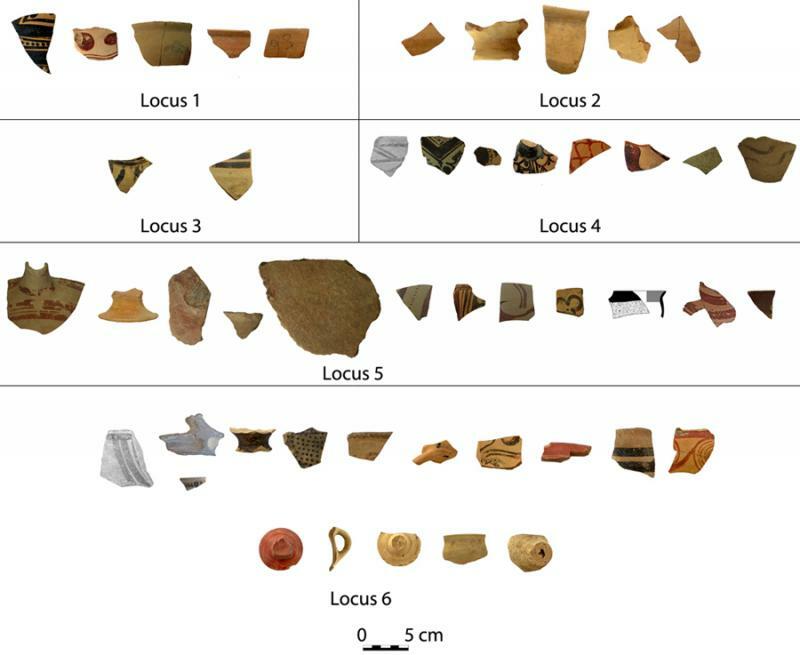 The sherd numbers correspond to catalogue numbers in Cosmopoulos (forthcoming). Fig. 6. Finds from the deposit under Wall 1a/1b to the south of the Peisistrateian Telesterion. The sherd numbers correspond to catalogue numbers in Cosmopoulos (forthcoming). Fig. 7. Pottery found under Wall 3 to the south of the Peisistrateian Telesterion. 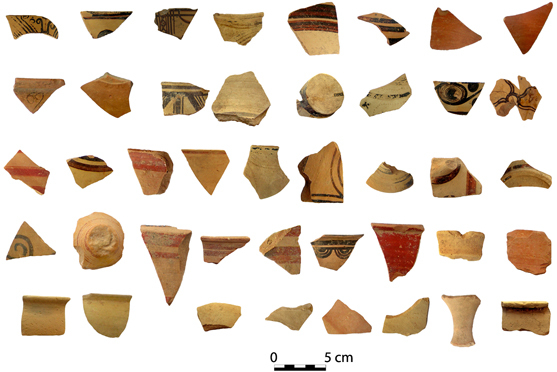 The sherd numbers correspond to catalogue numbers in Cosmopoulos (forthcoming). Fig. 8. Finds between Walls 4a and 4b to the south of the Peisistrateian Telesterion. 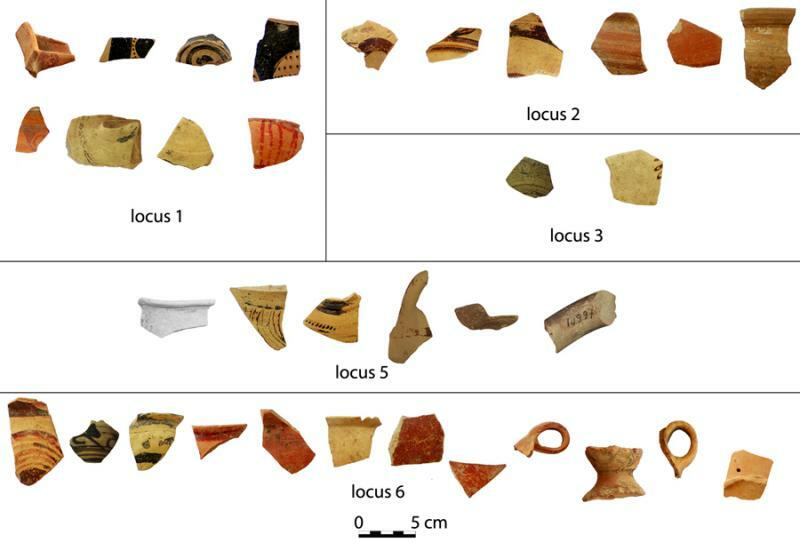 The sherd numbers correspond to catalogue numbers in Cosmopoulos (forthcoming). Fig. 9. Finds from the interior corner of Walls 4 and 4c to the south of the Peisistrateian Telesterion. 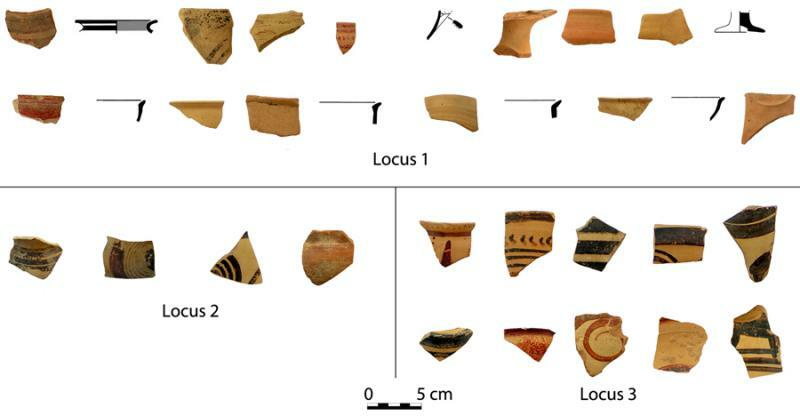 The sherd numbers correspond to catalogue numbers in Cosmopoulos (forthcoming). Fig. 10. 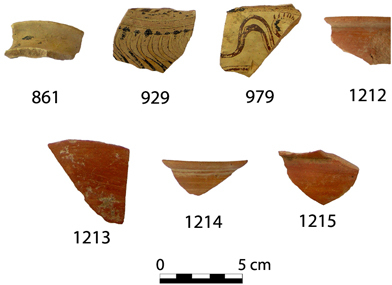 Pottery from the deposits southwest of Wall 4, to the south of the Peisistrateian Telesterion. Cosmopoulos, M.B. Forthcoming. The Sanctuary of Demeter at Eleusis: The Bronze Age. Βιβλιοθήκη τῆς ἐν Ἀθήναις Ἀρχαιολογικῆς Ἑταιρείας. Athens: Archaeological Society at Athens.